Hello! 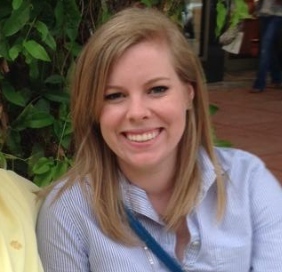 I’m Megan Faver Hartline, Associate Director of Community Learning at Trinity College. I recently completed my PhD in rhetoric and composition at the University of Louisville. My research interests lie primarily in community engagement, and I have been involved in several community initiatives including collaborations with the Parklands of Floyds Fork, the Louisville Council on Developmental Disabilities, and Jefferson County Public Schools. Across my scholarly work, I integrate research, teaching, and service to create and make visible institutional structures that connect the university and its surrounding community. In my research, I examine how universities can make community engagement more than just a buzzword by crafting institutional structures that support engaged projects materially and ideologically. Extending recent scholarship in rhetoric and composition that interrogates notions of sustainable infrastructure for community engagement projects, my dissertation explored how policies shape the way faculty and graduate students develop engaged projects at institutions in the process of building stronger structures for this type of work. Through an institutional ethnography of University of Louisville that combines rhetorical analysis of university policies and stakeholder interviews, I have found that widespread recommendations from engaged scholars and university administrators have created necessary but insufficient infrastructure to truly support community projects, and I suggest ways to deepen such superficial structures. Across my research, I argue that making institutional structures more visible will ease their navigability for emerging scholars interested in pursuing engaged teaching and research and help established scholars pinpoint institutional changes that can be made to better support community engagement. I also co-designed and co-led the University of Louisville Digital Media Academy (DMA) for two summers, collaborating with four other graduate students, Dr. Mary P Sheridan, and Dr. Andrea Olinger to design and teach a digital production camp for rising sixth grade girls in Louisville. DMA is designed to be a positive, fun experience for girls that offers them two sets of possibilities: one as thoughtful producers of digital texts, and another as active bodies on a university campus where they can envision themselves in the future. Additionally, I collaborated with five other graduate students and Dr. Brenda Brueggemann on the “Art as Memory” documentary, highlighting a series of free art workshops for adults and children with developmental disabilities in Louisville. I have published in Community Literacy Journal, JAC, Kairos, and Computers and Composition Online. My scholarly work has been honored through the 2017 Chairs’ Memorial Scholarship from the Conference on College Composition and Communication, the 2016 Barbara Plattus Award for Excellence in Graduate Teaching, and the 2016 Dr. M. Celeste Nichols Professional Development Award. Moving forward, I plan to construct community-based research projects that integrate some of the following research areas: community engagement in rhetoric and composition and higher education, community health literacy, professional writing, digital media and composition, institutional ethnography, and feminist methods and methodologies.